Sometimes life seems to be at 100mph and we find ourselves charging along. Taking time out from this busy schedule can actually make you more productive when you are busy. Music can be a delightful accompaniment to this relaxation. Mimi Novic has produced a series of CD’s and digital downloads for relaxation. This music is drifty and deep, allowing for a pondering of thought, which is all part of the ‘slow down’ this relaxing music offers. 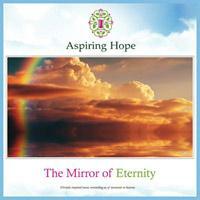 This featured album ‘The Mirror Of Eternity’ is an audio only CD, composed specifically for the purpose of relaxation. Many use this audio as a sleep aid at the end of a busy day to allow thoughts to become diluted, with stresses calmly washed away.